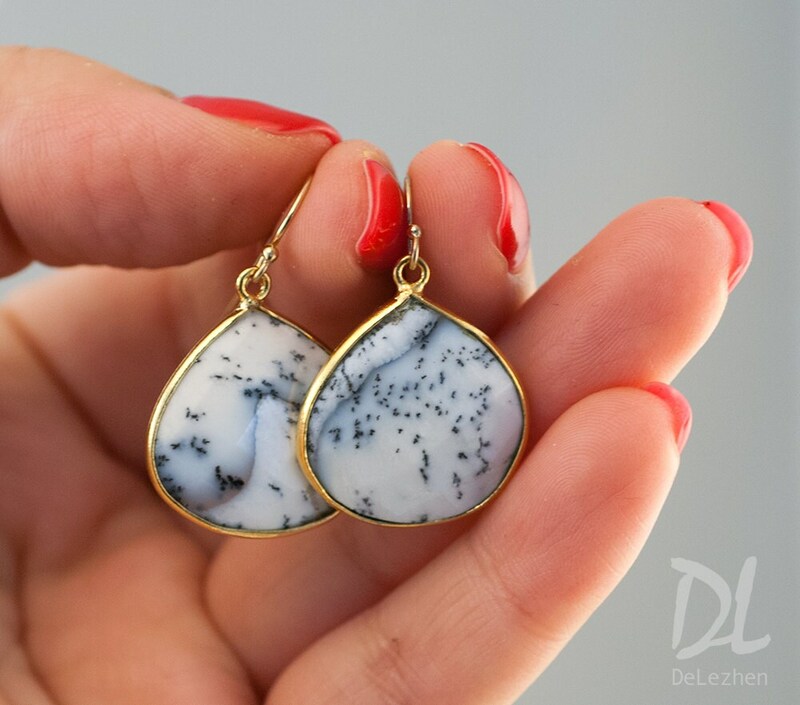 A stunning pair of Dendrite Opal set in 18k gold vermeil. The earrings hooks are 14k gold filled. 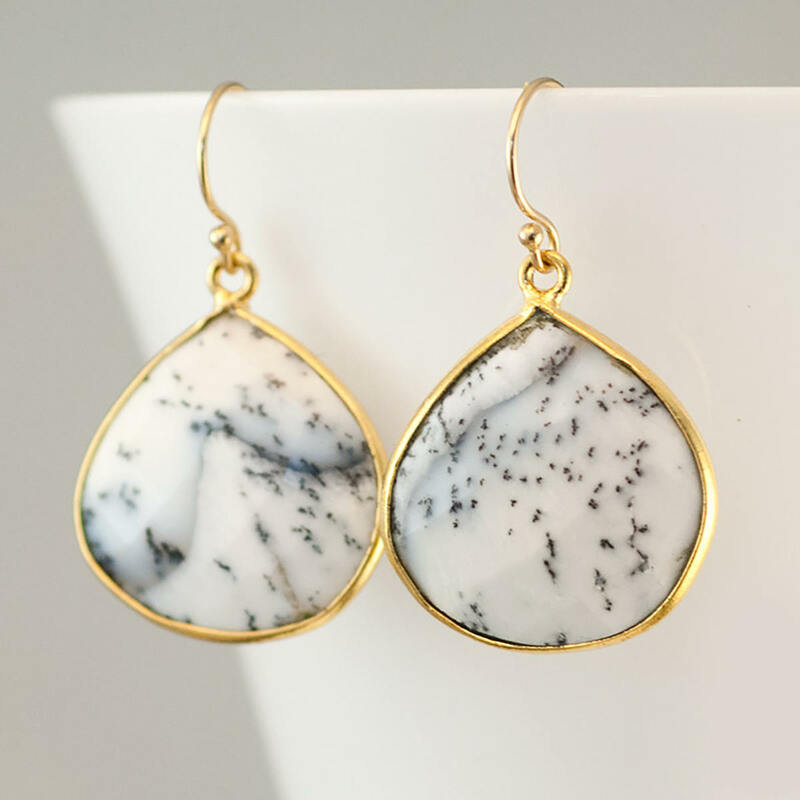 Because I use natural stones, the stones may vary slightly in shape, shade and size. No 2 stones are the same. Earrings will be shipped wrapped in a Delezhen branded box. Follow us on Facebook and Twitter to get updates on promotions and Giveaways! © Delezhen Inc 2010-2014. All Rights Reserved. Including images & designs.